According to investment bank Barclays Capital, purchases made on smartphones and tablets hit $5.3 billion in the U.S. in 2011, up 83 percent from 2010. While mobile purchases are dramatically growing, how mobile consumers actually pay for those items is dramatically changing. Here is a list of new developments for mobile payments. Several of the systems utilize “near field communication” (NFC) technology, wherein a NFC-enabled mobile device wirelessly exchanges payment information with a NFC point-of-sale terminal — helpful to brick-and-mortar retailers. Other systems seek to free mobile transactions from the confines of traditional point-of-sale and credit card networks. Yes, mobile commerce is here, but how exactly it should function remains to be seen. For 2011, PayPal reached $4 billion in mobile payments volume, a huge increase from the company’s original 2011 prediction of $1.5 billion and the 2010 mobile payment total of $750 million. In January, the company reported more than 17 million PayPal customers regularly making a purchase through their mobile phones, up from 8 million reported in June. The company forecast $7 billion in mobile payment volume for 2012. 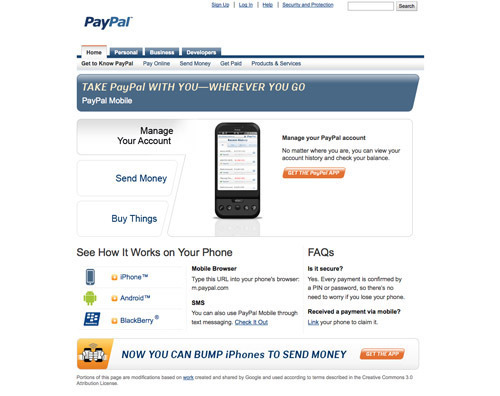 PayPal began testing NFC in 2011. In July, PayPal added a feature to its Android app that allows users to exchange funds by tapping their phones together. However, PayPal believes NFC to be limiting for mobile transactions, requiring retailers to upgrade cash registers and customers to visit payment terminals to purchase goods. David Marcus, PayPal’s vice president of mobile, told All Things Digital, “By the time NFC catches up, we’ll be in a world that will move away from the point-of-sales terminal.” Instead, the company wants to bypass NFC by connecting a user’s PayPal account to a smartphone number and a PIN code. To make a purchase at a participating retailer, choose the PayPal option, enter a phone number, and enter the PIN. PayPal has entered into in-store payment partnerships with mobile payments and point-of-sale integrations at major retailers. By March, the company plans to let shoppers pay with its service at more that 2,000 Home Depot stores. PayPal has also partnered with ABJ Software, a point-of-sale software company for large brick-and-mortar retailers, including Kohl’s and Best Buy. PayPal’s 100-million-plus user base is clearly a motivator for retailers to consider the payment option. 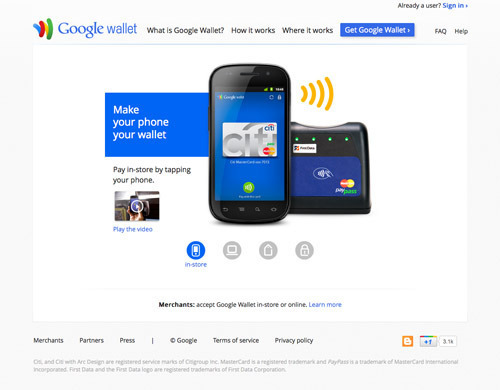 In November, Google announced it was rolling Google Checkout into Google Wallet. The move unifies the system that handles NFC-based mobile payments and regular web sales, such as on Google and merchant sites. In September, Google released the app for the Sprint Nexus S 4G with Citi MasterCards and Google Prepaid Cards. Partners include Verifone, ViVOTech, Hypercom, and Ingenico to enable offer redemption, rewards, and receipts via NFC at the point-of-sale. Retail partners include Gap, Toys“R”Us, Macy’s, OfficeMax and Bloomingdale’s. In September, a group of smartphone makers agreed to make NFC-ready mobile devices that will work on the Isis mobile wallet network, a venture of AT&T, T-Mobile USA and Verizon Wireless. The smartphone makers include HTC, LG, Motorola Mobility, Research in Motion, Samsung and Sony Ericsson. 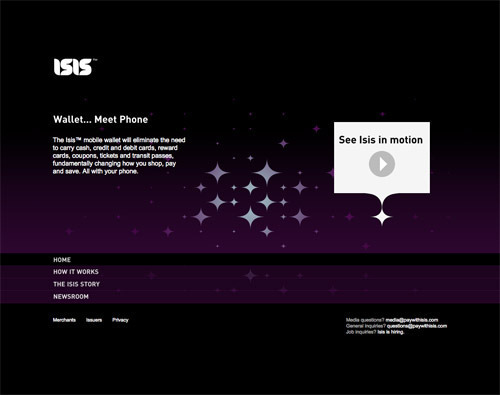 The Isis partners plan on investing more than $100 million dollars to take on Google Wallet. Isis has built partnerships with Visa, MasterCard, Discover and American Express. Isis will roll out to its first test markets, Austin, Texas and Salt Lake City, Utah in the first half of 2012. In November, as part of an upgrade to the Apple Store app, Apple introduced a new service called EasyPay. The feature lets a user photograph a barcode, retrieve information on the product, and then charge it to the user’s iTunes account. EasyPay is a limited service, only available in the U.S. for in-store purchase of select accessories. 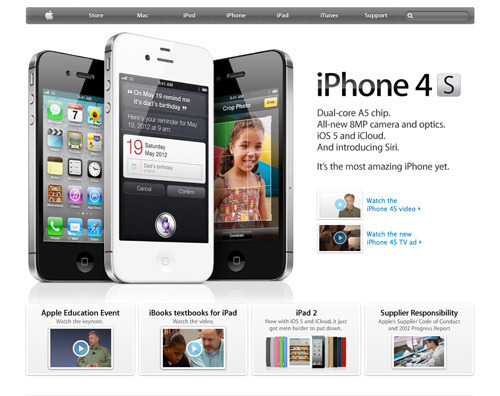 Apple has not indicated whether it would take the service beyond its own stores. However, Apple has filed several software patents covering mobile payments, shopping, point-of-sale and point-of-purchase. In June, Apple reported that it had 225 million iTunes accounts. 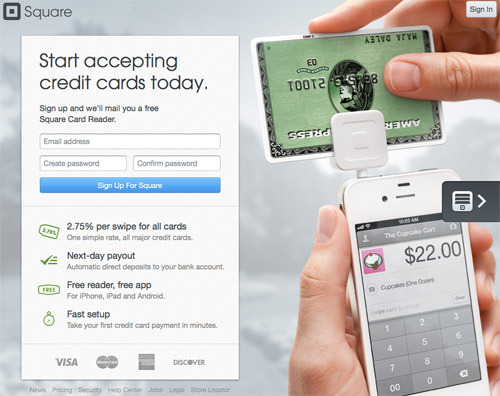 In November, mobile payment processing company Square launched a new version of its Card Case iOS app that integrates iOS5 support for “geofencing.” Once you opt-in to the geofencing feature, when you and your phone are within 100 meters of a Square merchant, you can simply say your name at checkout to complete payment. No need to pull out your phone or open the app. 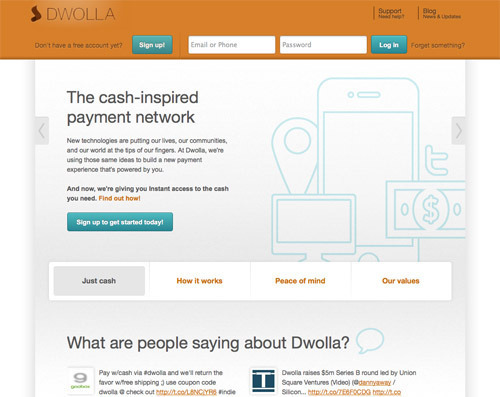 Earlier this month, online and mobile payments network Dwolla announced that it has raised $5 million in a series B round led by Union Square Ventures. Fourteen months after its launch, Dwolla boasts more than 80,000 users and a merchant community of more than 7,500 accounts. Currently, it moves $30-$50 million a month across its network.